Boulder, Colo • March 20, 2018—The Brewers Association (BA)—the not-for-profit trade group dedicated to promoting and protecting America’s small and independent craft brewers today released its Beer Style Guidelines for 2018. Reviewed and revised annually by the BA, these guidelines serve as a model resource for brewers, beer judges and competition organizers, and celebrate the great diversity of beer around the world. ·Contemporary American-Style Pilsener: The addition of this new category addresses marketplace expansion and provides space for sessionable craft brew lager beers with higher hop aroma than found in pre-prohibition style beers. ·Classic Australian-Style Pale Ale and Australian-Style Pale Ale: This split from one to two Australian-Style Pale Ale categories reflects tremendous diversity in the Australian craft beer market and authoritative input from the technical committee of the Independent Brewers Association. Classic Australian-Style Pale Ale can run slightly darker and typically exhibits relatively lower hop aroma. The Australian-Style Pale Ale category provides ample room for a range of somewhat paler, more hop aroma- and flavor-forward beers being produced today by hundreds of breweries in Australia. ·Gose and Contemporary Gose: Predominantly technical tweaks were made to create more differentiation between these two categories. The Brewers Association's Beer Style Guidelines reflect, as much as possible, historical significance, authenticity or a high profile in the current commercial beer market. The addition of a style or the modification of an existing one is not undertaken lightly and is the product of research, analysis, consultation and consideration of market actualities, and may take place over a period of time. Another factor considered is that current commercial examples do not always fit well into the historical record, and instead represent a modern version of the style. To help inform the creation of the new Juicy and Hazy categories, a wide variety of beers that were thought to represent or approach this style were sought and tasted. The 2018 Beer Style Guidelines are available for download at BrewersAssociation.org. Note: New styles will take effect for the 2018 Great American Beer Festival® competition. 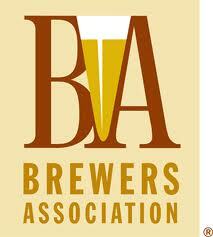 Suggestions for adding or updating a beer style guideline may be submitted online at BrewersAssociation.org.